And, well, just another day at the (Holy) Office. 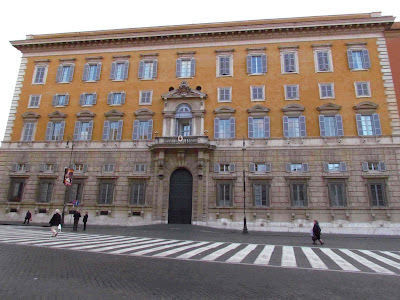 According to a report from Catholic News Service, the superior of the Society of St Pius X, Bishop Bernard Fellay, entered the Palazzo del Sant'Uffizio -- the offices of the Congregation for the Doctrine of the Faith -- at 5pm Rome time (11am Eastern) for the aforementioned meeting to possibly convey a papal decision on the breakaway traditionalist group's reconciliation with Rome. According to the wire, the once-excommunicated head of the Swiss-based fraternity -- who arrived in a red Peugeot with French plates -- came with two other people. Over the weeks of deliberations toward a potential accord with the Society -- based upon a "Doctrinal Preamble" which would state its acceptance of most of the teachings of Vatican II -- divisions emerged between Fellay and the other three prelates illicitly ordained in 1988 over a return to Rome. 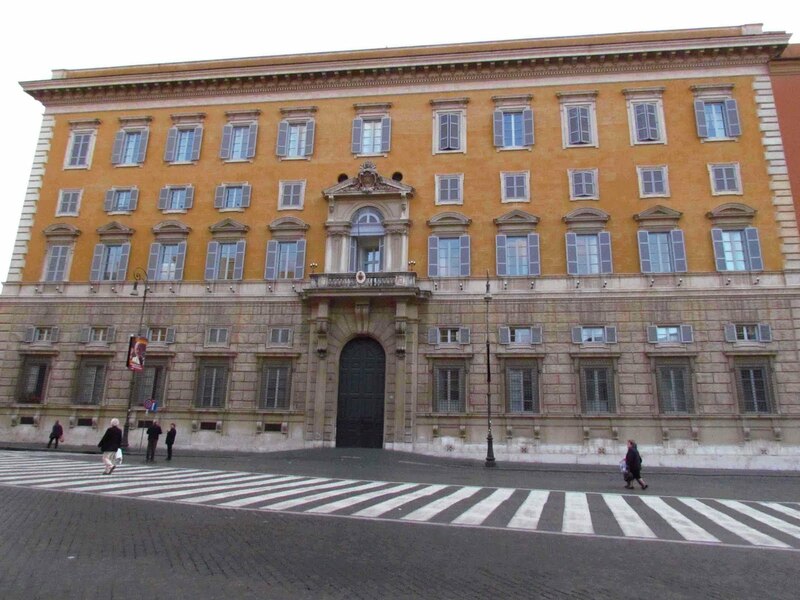 A subsequent statement from the Holy See said that Fellay's confreres would be required to "individually" clarify their positions on an agreement. The SSPX meeting comes little more than a day after another key CDF summit -- the dicastery's meeting to hear out the concerns of the leadership of the US' women religious, whose joint conference was ordered by the congregation to undertake a sweeping reform in April. In comments to reporters earlier today, the lead Vatican spokesman, Jesuit Fr Federico Lombardi, said that "no information" on a decision had yet emerged. Of course, Rome being Rome, the apparent gulf that exists between "no information" on a decision as opposed to "no decision" is to be considered.